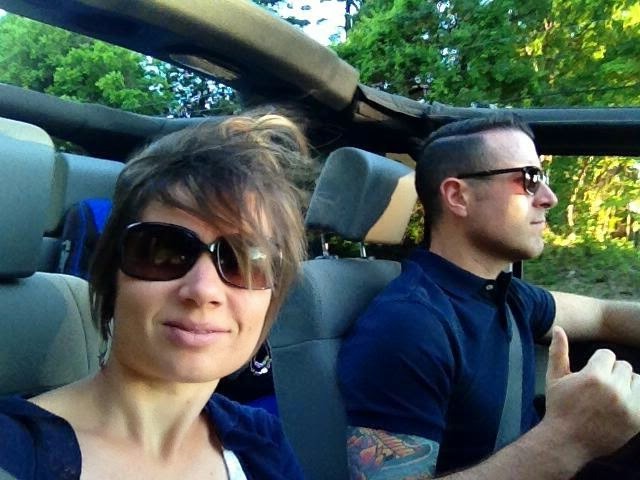 So we're (finally) into Beach and Jeep season and this pixie-wearing girl feels like she needs a disclaimer. Dear Lord....my hair is always a hot mess!! I guess that's the price you pay to spend the days with the top down and your toes in the sand. No sacrifice there. 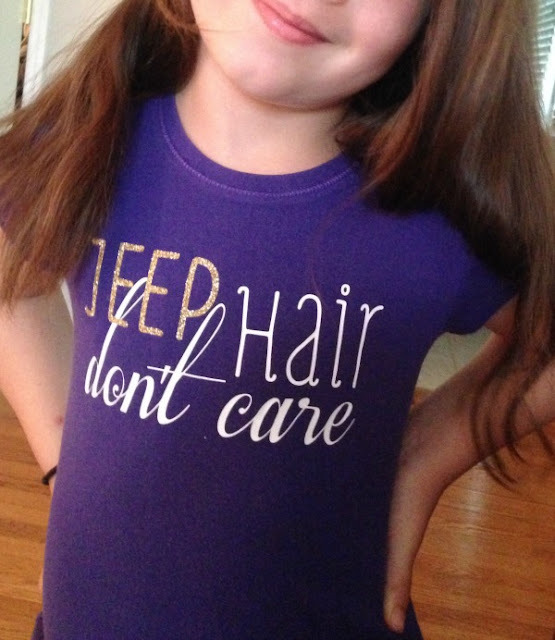 Anyway I recently went through a bag of hand me downs and updated one of the shirts for my daughter by adding some HTV with the saying Jeep Hair Don't Care. 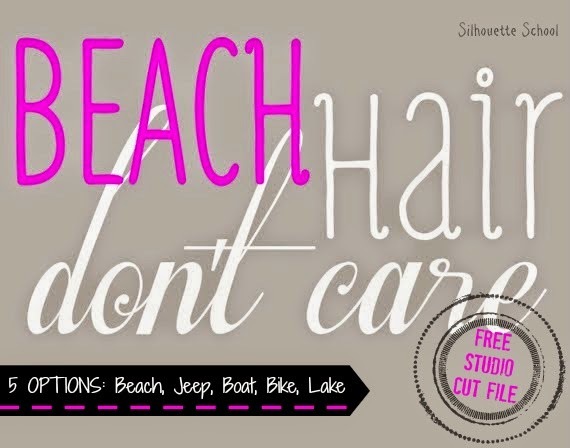 Since I know many of you don't have Jeeps, I figured I'd change it up a bit and make this week's Freebie Friday 'Beach Hair Don't Care' along with four variations in hopes that as many of you can use it as possible. I could use a few more of them too....but I'll spare you another ridiculous picture! Also, if you're cutting on HTV, don't forget to mirror the image before cutting on your Silhouette. You can cut on all the same color or emphasize BEACH with some glitter HTV or another color. Just a reminder all free Silhouette Studio cut files provided by Silhouette School are free for personal use only. This means no selling the file or anything with the file design on it! Is there a tutorial showing how to do multiple colors like these on here? (Beach in pink etc)? Thanks for the file! Love it! And I can relate! :) Thank you for the file! I have a Jeep! Yay! Thanks, Melissa. 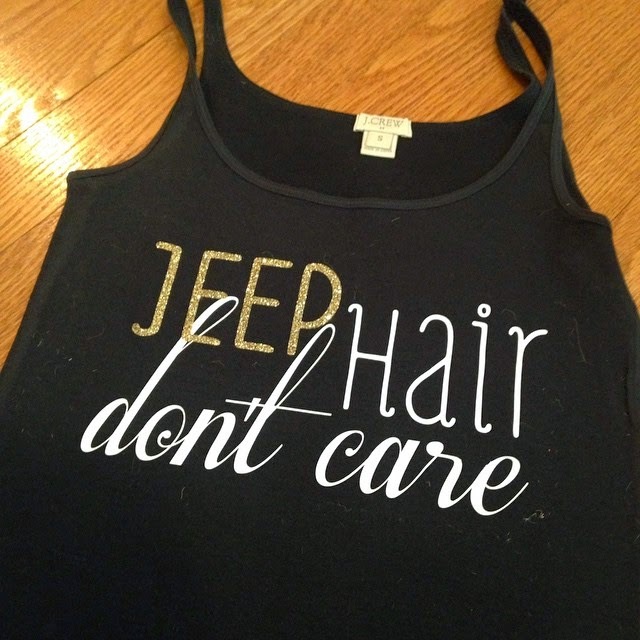 My husband will be thrilled when he sees me in this rather than complaining about my hair getting messed up!